Our Quality Ratings | Connecticut | Internal Medicine of Milford, P.C. Phone lines open 9am-12pm and 1pm-5pm. 24-hour answering service for emergencies. 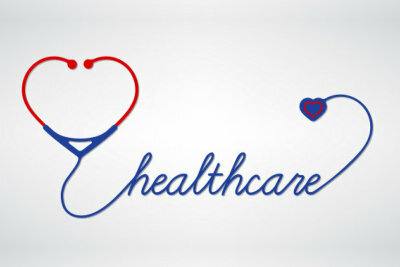 Providing extensive clinical care solutions to all of the individuals and families who need our services in Connecticut. Our healthcare providers exceed national benchmarks for quality care. The cost of healthcare in the United States has steadily increased and has now reached crisis proportions. The federal government has launched a number of initiatives aimed at reducing healthcare costs and improving the quality of healthcare services. The initiatives were formalized in the American Recovery and Reinvestment Act of 2009 and the Affordable Care Act of 2010. Internal Medicine of Milford, P.C. embarked on conversion to electronic medical records in 2007, having recognized the need for healthcare reform long before our government decided to take action. Today, we have realized the efficiencies offered by electronic medical records. In 2009, our providers were recognized by the National Committee for Quality Assurance (NCQA) for delivering high-quality care to our patients with diabetes and heart disease. NCQA is known in the healthcare industry for having developed healthcare quality and cost benchmarking systems such as HEDIS. Diabetes affects an estimated 23.6 million Americans. Complications from diabetes include heart disease and stroke, high blood pressure, blindness, and kidney disease. More information about NCQA and the DRP can be found here. Cardiovascular disease affects over 70 million Americans and accounts for $393.5 billion in annual costs. About 700,000 people will have a stroke this year, making it the nation’s number 3 killer and a leading cause of long-term disability.